The FOBISIA Drama Festival brought a total of 12 British International Schools across Asia together, with a them of ‘It’s All Greek to Me’. To kick start the Fobisia Drama Festival on Wednesday evening, Justin Chia performed a Chinese Drum Solo, which was warmly welcomed by all. Thursday and Friday days were filled with seven different workshops: energy, focus and awareness of the body workshop led by Doug Heron from St Andrews International School; Verbatim Theatre workshop led by Holly Sullivan from Alice Smith; Brechtian Technique workshop led by Ken Lund and Robin Lawrence from Garden International School in Rayong, Thailand and KL; a drumming workshop led Andy Gleadhill from the UK; a mask workshop led by James Degazio from HELP International School, KL; KL Shakespeare Demystified Players who led a stage fighting workshop; and Scott Smith from the UK’s Splendid Productions who led workshops based on the role of the chorus, speaking and movement. In addition to this, the students had company time where they were able to take what they have learned from the workshops and practically apply it in their creation of original theatre. All the attending students were separated from their schools and were disseminated amongst eight different acting companies where they had to work together in order to create short dramatic pieces based on one of five Classical Greek texts: Oedipus by Sophocles; Agamemnon by Aeschylus; The Bacchae by Euripides; Antigone by Sophocles and Medea by Euripides. These drama pieces were then shown to the audience on Saturday, 2 March. The Fobisia Drama students produced very impressive work with outstanding achievements with the performances being viewed as a celebration of drama; not a competition. Drama Festival, hosted by Garden International School KL, Malaysia ,28th Feb - 3rd March 2018. This festival saw Garden International School in KL host the Drama festival with the theme of Heroes & Villains. Another record breaking festival as this great event keeps growing, 13 schools attended and 244 students took part in the festival. New ideas added to the festival that were popular: live performances from a visiting theatre company, welcome events, welcome dinner, festival website, pre-written and pre-published resources, external expert actors and directors performing master classes (useful for staff development). For more information see the dedicated webpage here. 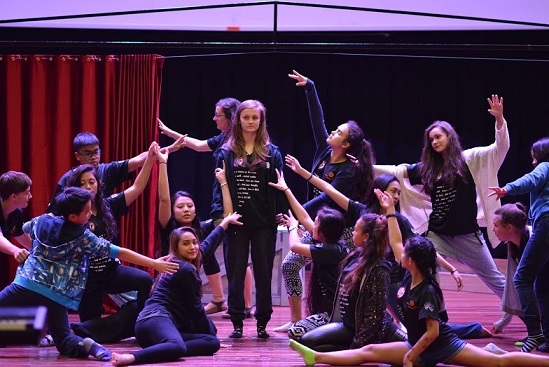 Drama Festival, Hosted by Bromsgrove International School Bangkok, 2nd-5th March 2017. Drama Festival 2016, hosted by Jerudong International School, Brunei. The 5th Annual FOBISIA Drama Festival: Company of Strangers was hosted in the spectacular Arts Centre at Jerudong International School, Brunei from the 18th-21st February 2016. 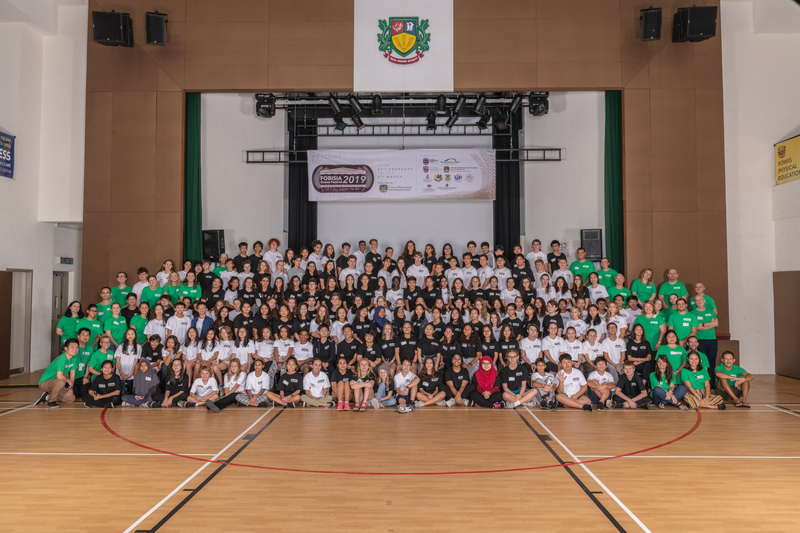 One-hundred-fifty-nine students took part from 4 countries representing 10 schools from across Asia.....for the full article please see here. Drama Festival 2015, hosted by British School Manila. The overarching theme Mind the Gap reflected the desire to find ways to bridge the gap between generations, cultures, beliefs and attitudes and describe a framework that would enable young people from across the continent to work together, to take risks and to take a leap of faith into a way of working that they might not have experienced before.....for the full article please see here.